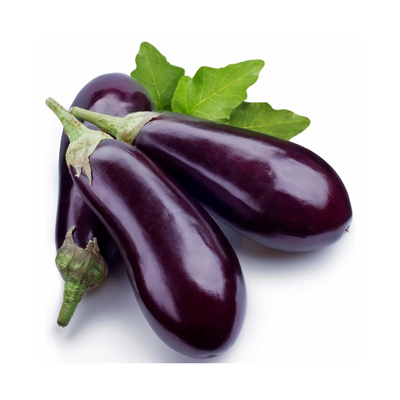 Round Brinjal can be used in recipes that require braising, roasting, deep frying etc. It is used commonly in a pureed form to make dips, chutneys etc. In order to roast brinjals, smear the brinjal with some oil and then place on open fire and roast. When the skin starts to peel off and the flesh feels soft and juicy, it is well roasted. Cool and peel off the outer skin. Blend in a mixer or pulp using your hands to get smooth brinjal pulp. This pulp can be combined with curds and a basic tempering of mustard seeds and curry leaves to make brinjal raitha. Alternatively, combine with red chillies and urad dal make spicy chutneys. 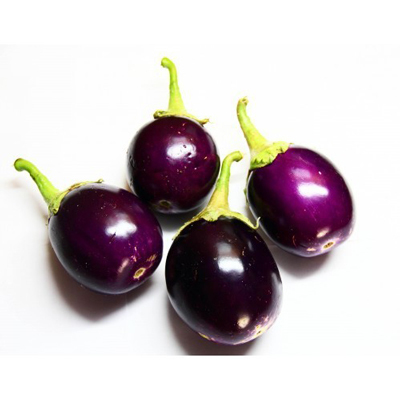 Long Eggplant is known as a vegetable having a unique range of health benefits, including an ability to help build strong bones and prevent osteoporosis, reduce the symptoms of anemia, and increase cognition. It improves cardiovascular health and protects the digestive system. Eggplant is also good for weight loss, managing diabetes, reducing stress, protecting infants from birth defects, and even preventing cancer. Short Eggplant is rich in calcium, iron, magnesium and several other important nutrients that aid proper functioning of your body. 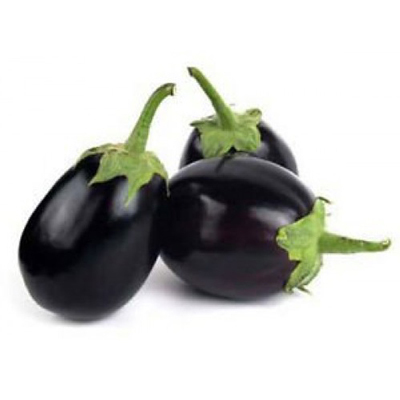 In fact, 1 cup (or 82 gms) of eggplant consists of 11% fiber, 10% manganese, 5.4% molybdenum, 5.3% potassium, 4.5% folate, 3.5% vitamin K, 3.5% copper, 63.5% vitamin B, 3.1% tryptophan, 3% vitamin C, and 2.8% magnesium.